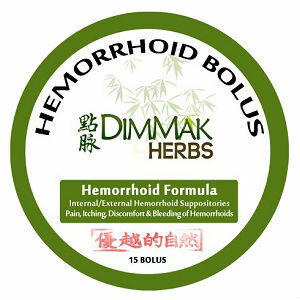 The Hemorrhoid Bolus packaging is simple and straightforward. There is no hype here, but the website begs to differ. The claim to fame here is that this product reduces the life of hemorrhoids in half, nearly eliminating pain. The natural powdered down herbs are combined in pure cocoa butter that is healthy for your body and effective. However, there seems to be a lack of information regarding dosing and ingredient information. Further research into this product was necessary. The recommended dosage is 1-3 nightly before bed, with full instructions on label. High doses may cause breathing problems, paralysis, and even death. In addition to this laundry list, there is actually no current evidence to determine whether goldenseal is effective for any conditions. For one bottle of Hemorrhoid Bolus, the priceis set at $16.95 which includes 12 boluses. This product can be purchased in a larger quantity, which could be a necessity given the number of boluses required nightly and the number included in a pack. The label also states that more boluses may be required initially for severe cases or those left untreated for a time. The website does not list any money back guarantee. They do require priority or express mail ordering however as they claim they will not refund money on a product that has melted due to summer heat. The price tag may initially seem pleasing to the eye given the higher prices for larger-quantity hemorrhoid relief products, but don’t let that first glance fool you. Given the number of boluses you’ll need to use on a nightly bases and what is included, you’ll easily need to make a few orders, especially for more severe cases. In addition, the site recommends you make an additional purchase of their VAIN balm for optimal relief. Add that all up and are looking at a pricey product. No consumer feedback was to be found on this item, leaving one to wonder the effectiveness of this product. Does it work or not? For the low initial cost, it might be worth a try to find out, but then given the severity of your hemorrhoids, the 12 boluses alone might not cut it for you. John Parker	reviewed Hemorrhoid Bolus	on September 4th	 and gave it a rating of 2.5.